This book provides a comprehensive introduction to modern global variational theory on fibred spaces. It is based on differentiation and integration theory of differential forms on smooth manifolds, and on the concepts of global analysis and geometry such as jet prolongations of manifolds, mappings, and Lie groups. The book will be invaluable for researchers and PhD students in differential geometry, global analysis, differential equations on manifolds, and mathematical physics, and for the readers who wish to undertake further rigorous study in this broad interdisciplinary field. This book is mainly intended for Universities, research institutions and libraries. 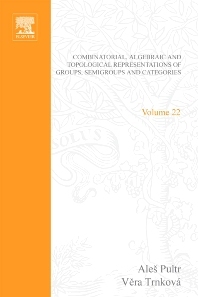 It is a basic work on foundations of a mathematical discipline, the first new book on the geometry of the calculus of variations on manifolds, and contains up-to-date research: primary Mathematics Subject Classification 58 (Global Analysis). It is furthermore intended for individuals (researchers, post-doctorals, PhD students), as the book supports research in geometry, global analysis, mathematical and theoretical physics, field theory, and mechanics and summarizes journal papers on global variational theory, published during the last 40 years.